Sharon Hudgins, coauthor along with her husband, Tom, of T-Bone Whacks and Caviar Snacks, has been writing for me for 28 years! Back in the January/February 1990 issue of Chile Pepper magazine, we published “Couscous Royale,” her article about eating couscous with spicy sausages (merguez) in an Algerian restaurant in Paris. That was the beginning of a long and successful editor/author relationship that persists to this day. 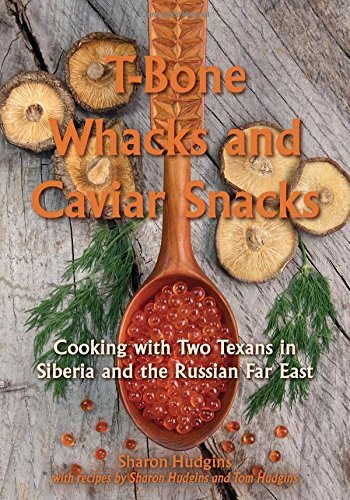 So I’m enormously pleased to review her latest book, which is subtitled “Cooking with Two Texans in Siberia and the Russian Far East.” The book is part travelogue, part cookbook, and part loving reminiscence of their times living in eastern Russia. “Despite the difficulties of finding certain foods, Tom and I ate well in Russia,” they write. “In part, that was because we were already experienced cooks. But we also dined well because of our positive attitude toward whatever culinary hand we were dealt in the marketplace. Unlike in the United States, we didn’t go to the market with a shopping list of specific items we wanted to buy. That would have been a folly in Russia. Instead, we looked at whatever products were available that particular day and said, “Okay what can we cook with these?” The recipes here are about ten times better that what you might expect, given that lack of availability of simple things like cinnamon. 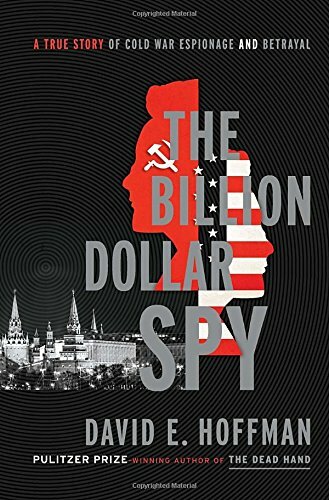 The anecdotes and sidebars give a wonderful window into interacting with Russian friends and neighbors, and there’s a lot of humor in these pages. This is a book to read even more than a book to cook from. I just loved it.